When you’re looking to host an online business in WordPress, keeping it in sync with your QuickBooks can seem intimidating at first. Deciding where to start in WordPress, choosing an efficient sync between these two platforms, and most importantly, making sure that everything is as effortless as possible may just seem impossible. In this post, we’re hoping to make it possible for you. As long as you’ve got a WordPress and a QuickBooks account, by following the next 7 steps, you’ll be able to establish a secure and reliable connection that will let you sync between WordPress and QuickBooks Online or Desktop. Our MyWorks Sync works directly with QuickBooks and WooCommerce and therefore WordPress, keeping your store up to date with your records. WooCommerce is an online e-commerce platform, which can be set up and used through your WordPress admin. That brings us to step one. In your WordPress admin, install the WooCommerce plugin by going to Plugins > Add New in the sidebar. Once installed and activated, WooCommerce will appear in the sidebar menu. When you open up WooCommerce, click to run the Setup Wizard, and follow the steps to set up your WooCommerce. With your new WooCommerce all set up, you’re ready to move onto the next step! If you’re looking to sync with QuickBooks Online, just like the WooCommerce plugin, our sync can be easily downloaded from the WordPress Admin. Similarly, if you’re looking to sync with QuickBooks Desktop, you can download the sync from the Client Area on the MyWorks.Software website once you sign up. We provide three different plans for the MyWorks Sync, depending on what you are looking to sync. The Launch plan is our free plan, which lets you use the sync’s basic functions such as Automatic, Two-Way sync, Global Tax Support and Product and Inventory Support. The Grow and Scale plans are both paid plans, which include many more features, such as Unlimited Historical Data Access, Compatibility for additional WooCommerce plugins, and both these plans allow you to sync a larger number of orders per month. For More details, check out the pricing page. Once you install and activate the MyWorks Sync, it will appear near the top in the sidebar, ready to be configured and used! The MyWorks Sync makes this step super easy. When you open it up for the first time, at the very top, you’ll see an easy to follow setup menu. Clicking on the first box will lead you to the page where you can connect the two platforms. All you have to do is enter your license key, which you can find in your MyWorks account Client Area, and press enter. Next, you’ll log into your QuickBooks via the QuickBooks API. You will be redirected to your Client Area, where you can do this. It’s very important to note if you are using QuickBooks in Sandbox mode, make sure to set that in Advanced Settings. With QuickBooks Desktop, the connection process is a little different. 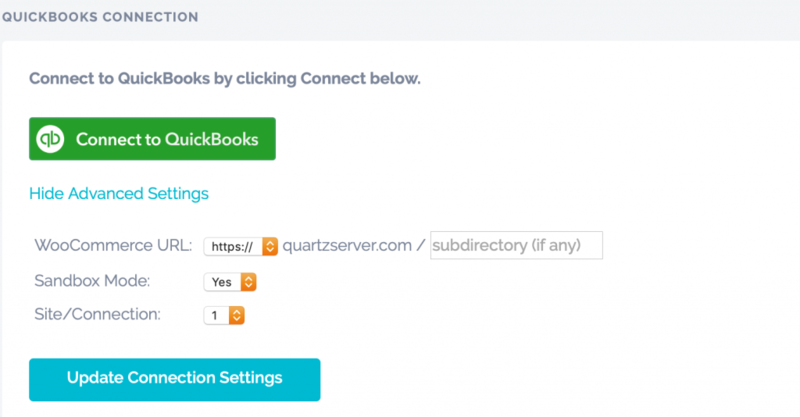 You’ll be using the QuickBooks Web Connector, which usually comes with your QuickBooks Desktop installation. For more details on the setup process for either QuickBooks Online or QuickBooks Desktop, check out our documentation articles (links below). After you’ve installed and activated the MyWorks Sync, you’re ready to start personalising! The next step in the setup is to Set your Default settings, and this is the perfect time to set your other setting as well, including whether to sync automatically in RealTime or in Queue, your pull settings, mapping, product, orders and tax settings. You can always come back and do this later as well. To finish the initial setup, you’ll see that you need to map at least 1 product, customer and payment gateway. By clicking the button in the final box of the setup steps, you’ll be redirected to the mapping page. You can use our auto-map to do this quickly, or you can do it manually by matching the correct item via the drop-down list. Now it’s time to get your existing data into both platforms. Note, if you are using the MyWorks sync with completely new QuickBooks and WordPress accounts, then you probably don’t have any existing data, so there’s no need to push or pull anything, and you can easily skip this step. 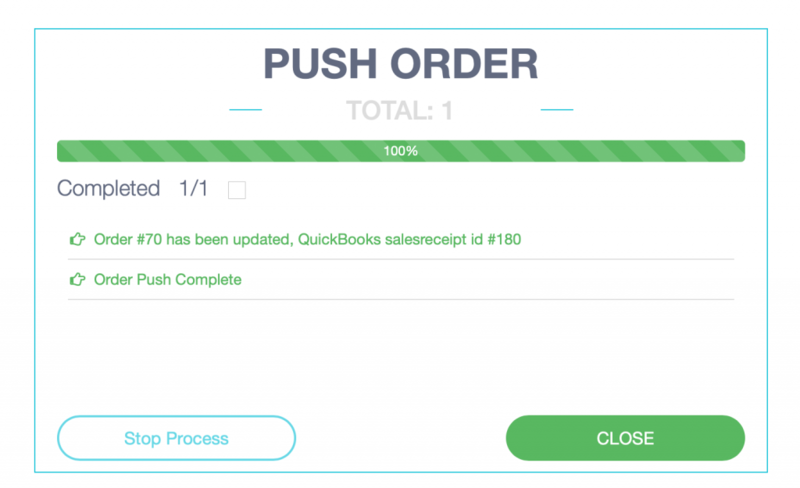 If you DO have existing data though,From the Push tab, select your customers and products that are in WooCommerce to push them into QuickBooks. Similarly, if you’ve toggled on the Pull option in your settings, there will be a Pull tab in the sidebar. 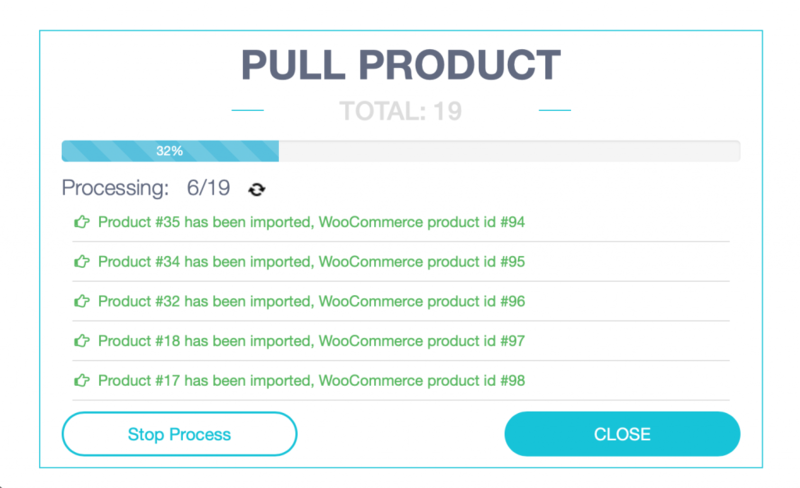 Go here to pull existing data from your QuickBooks into your WooCommerce by selecting the data you want to import into WooCommerce and pull the selected products. Once the Push/Pull is complete, close the window that pops up, and all the data you’ve just pushed or pulled is now in both platforms! You’ve done it all. The installations, the connections, the settings, and now It’s finally time to sync. Depending on how you’ve set it up, your data might already be syncing automatically, as you sit here, reading this blog post. With the queue sync option, your data will sync between the two platforms at a certain time interval, for example, every 10 minutes, or every hour. 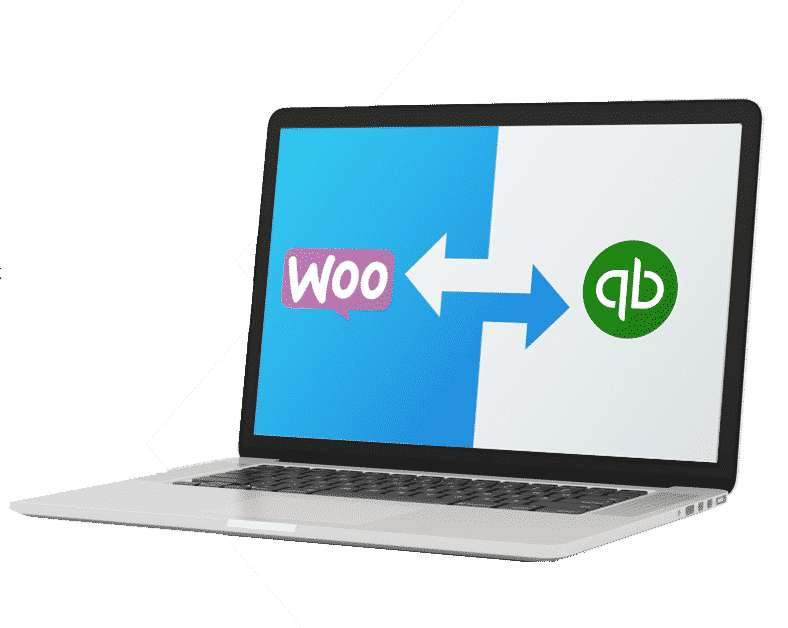 If you set it to sync in real time, then as new customers, products and orders are created in WooCommerce, they get synced straight over to QuickBooks! So now that you’ve finished reading this, we hope the idea of syncing your WordPress and QuickBooks doesn’t seem as formidable as it did before, and hopefully, you should be pretty well versed in how to sync your QuickBooks and WordPress, step by step!